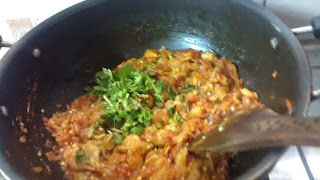 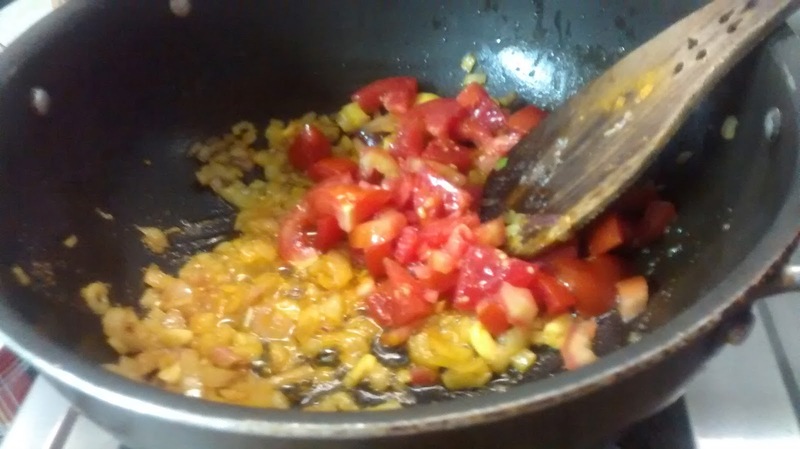 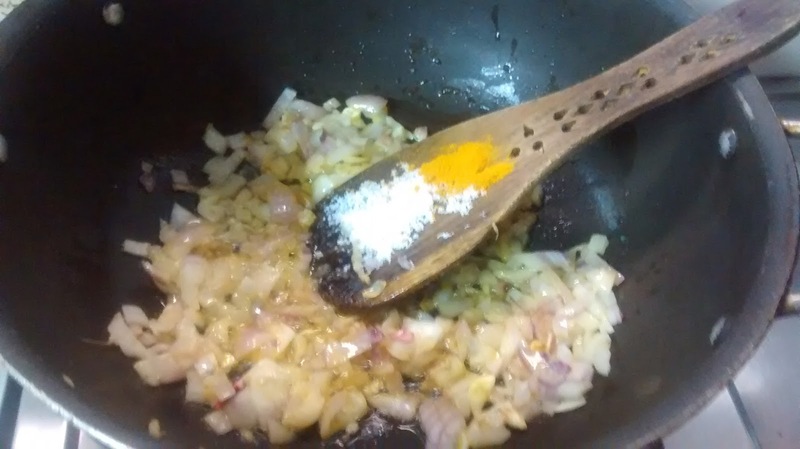 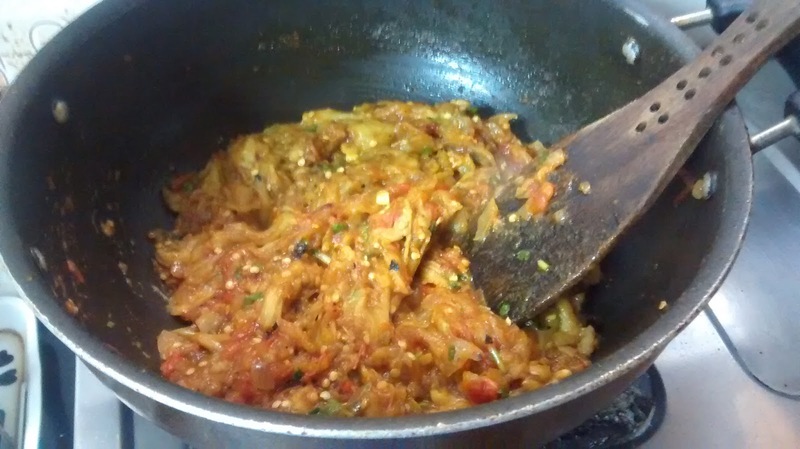 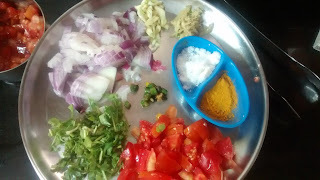 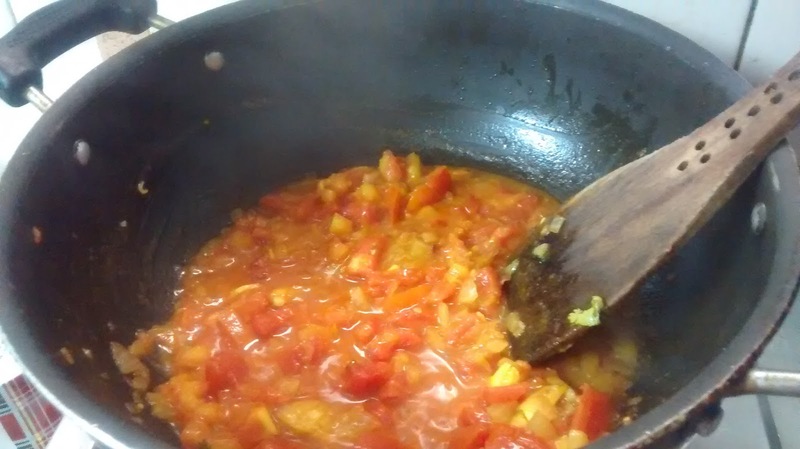 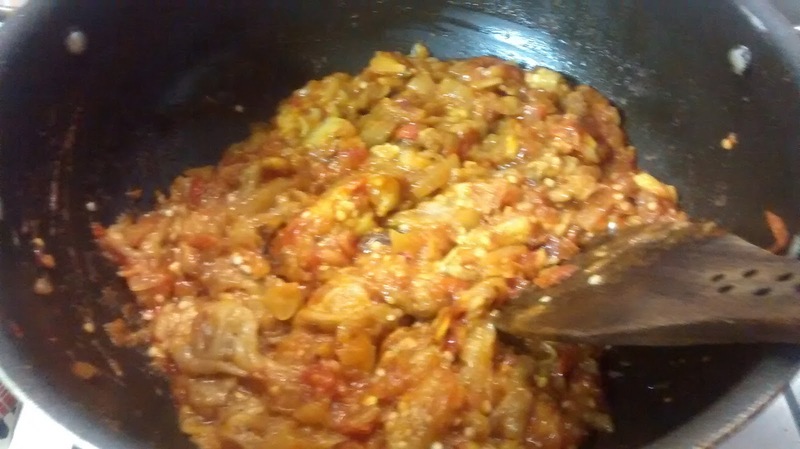 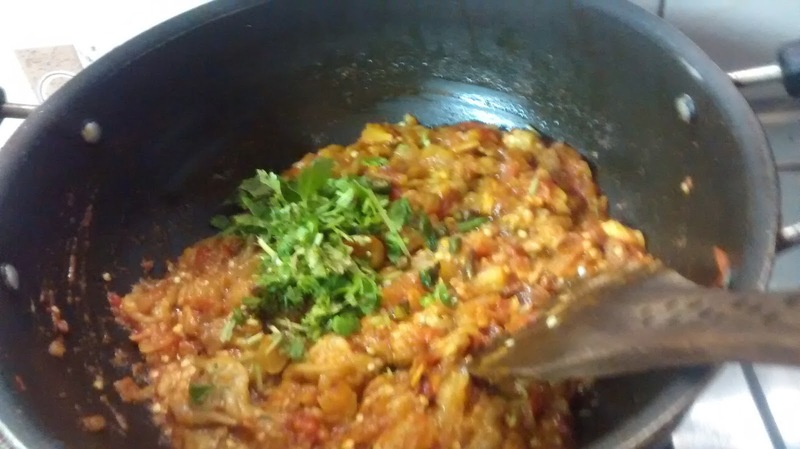 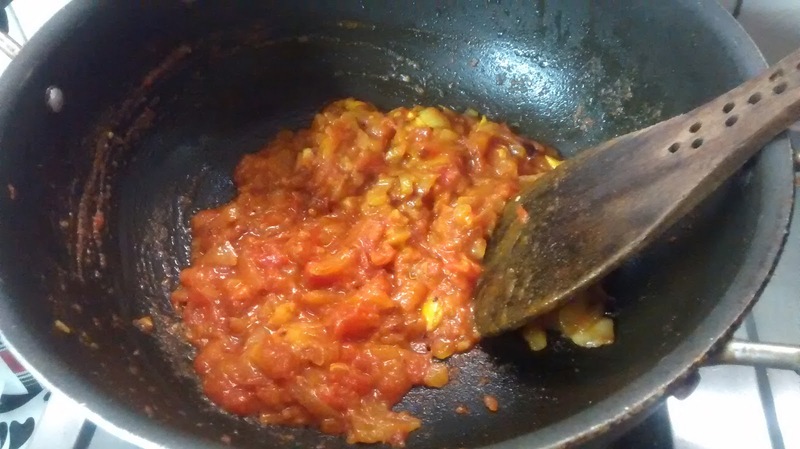 I love winters for its varied flavours.Baingan ka bharta is one such recipe .It it a preparation which requires minimum ingredients.Apart from the brinjal or the ingredients I love this preparation for the smoky flavour of the roasted brinjal. 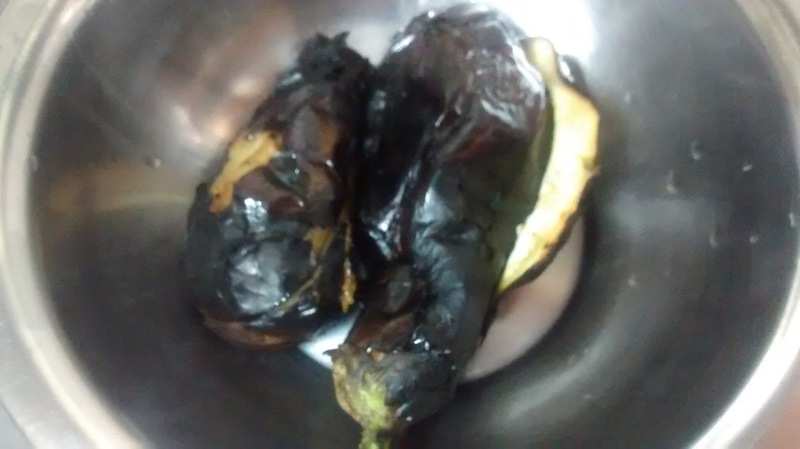 For this preapration the big purple brinjals are essential ,for best results.These brinjals come best in peak winters.the soft pulpy inside of these brinjals taste heavenly once roasted on an open flame. 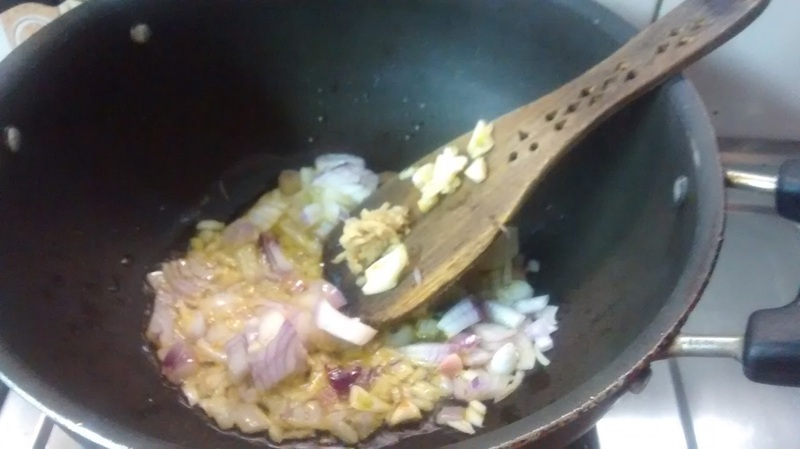 Smear the brinjals with oil and slit from the middle lengthwise( to check for worms),keeping the stalk intact. 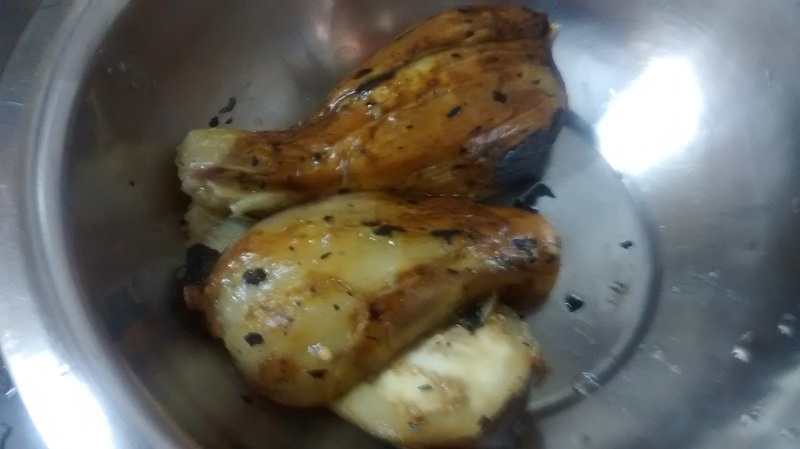 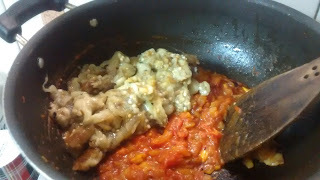 Roast the brinjals over open flame,let it cool. 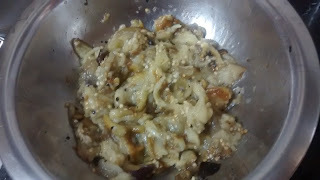 Note -Do not immerse the brinjals in water to peel them as it reduces the flavour of the brinjals.